Who prioritised result over performance? Whose "lack of cutting edge" let them down? Who "needs more" to avoid the drop? On a weekend of what may be considered surprising results, with Newcastle downing high-flying Bournemouth and Huddersfield backing up their win over Fulham with a point against a resurgent West Ham, who made the grade in the Premier League? 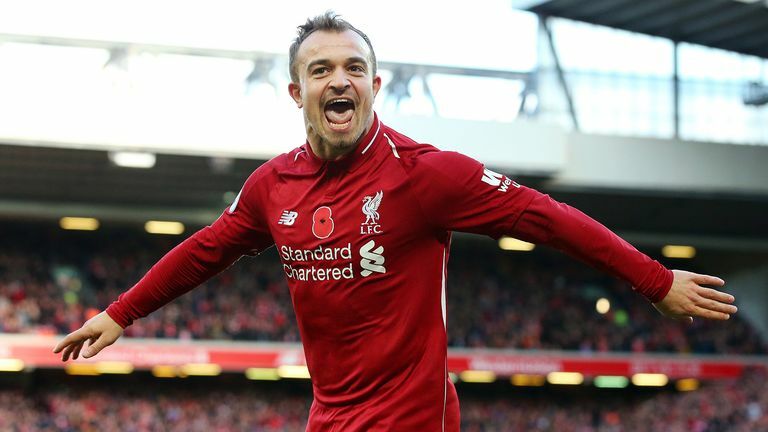 Liverpool looked very comfortable against Fulham and had the game in their control for large portions of the match. Jurgen Klopp admitted in his post-match interview that his side rode their luck a bit when Aleksandar Mitrovic's first-half header was chalked off for offside, and there were question marks when Ryan Sessegnon was able to break into a one-on-one situation, but Liverpool's attack were in full force once again with Mohamed Salah and Xherdan Shaqiri both deserving of their goals. 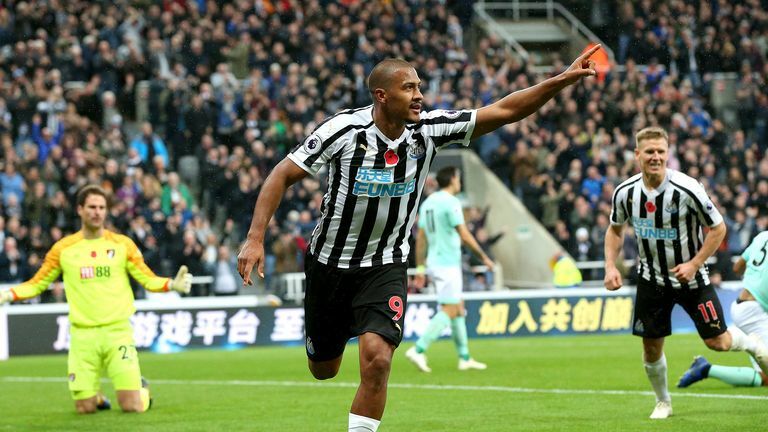 A second successive victory ensures Newcastle go into the international break with smiles on their faces, and they were good value for their 2-1 win against Bournemouth at St James' Park, having rode their luck against Watford the weekend prior. Highlights from Newcastle's win against Bournemouth in the Premier League. 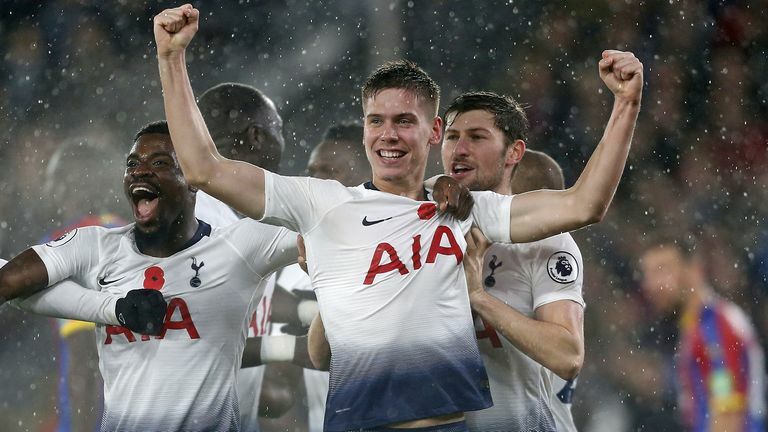 It was not pretty, but Tottenham got the job done in wet conditions at Crystal Palace to continue their fantastic away form this season. Spurs have won seven of eight Premier League games on the road and battled hard to take all three points from Selhurst Park. That Monday night success over Fulham certainly seemed to galvanise Huddersfield as they made a fantastic start against West Ham, hitting the bar through Steve Mounie after three minutes before taking the lead soon after thanks to Alex Pritchard's effort. David Wagner's side could have had the game wrapped up by the break but a combination of Lukasz Fabianski and the woodwork kept them at bay. That profligacy and misfortune in front of goal eventually cost them as Felipe Anderson equalised in the second half. Neil Warnock is under no illusions of how big the task of keeping Cardiff in the Premier League is. The veteran manager believes it will be the greatest achievement of his managerial career. If Cardiff perform to the level they did against Brighton, they may just have a fighting chance of making that come to fruition. Highlights from Cardiff's 2-1 win against Brighton in the Premier League. 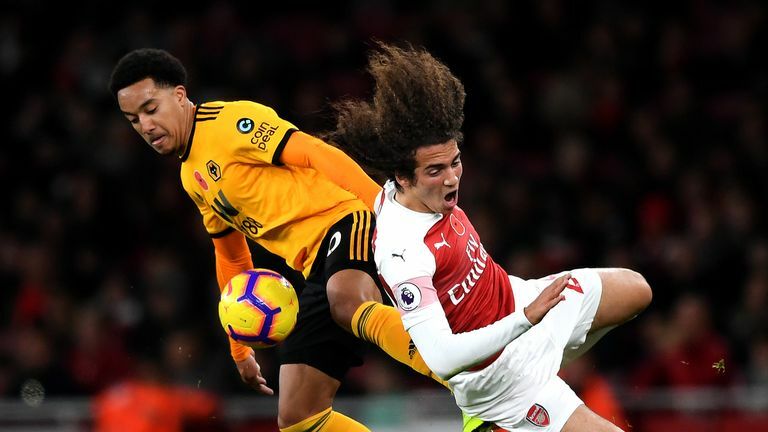 Wolves' display at Arsenal was not the display of a side short of confidence after losing their last three matches. 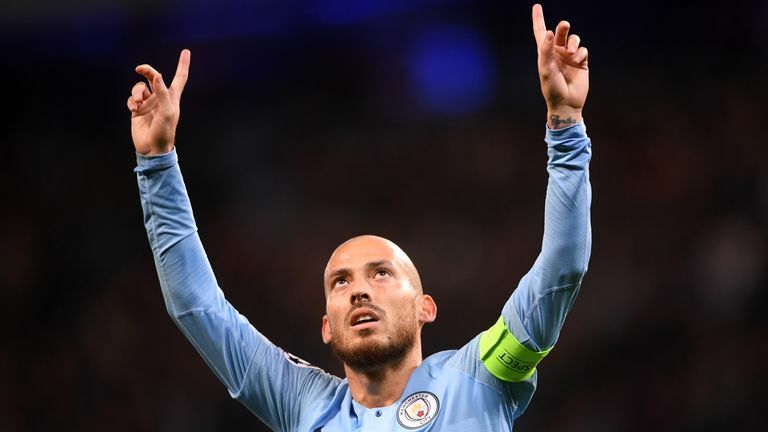 Their defensive efforts were reminiscent of their showings from earlier in the season and, if their finishing had been sharper, they would have won the match. As Pep Guardiola observed, the performance in Sunday's 3-1 win over United was in fact worse than the defeat against their rivals last season. In the first half in particular, after it felt like the floodgates would open, United kept their chances to a minimum. Highlights from Manchester City's win over Manchester United in the Premier League. But instead of crumbling when Anthony Martial halved the deficit, it was City who always looked more likely to score the game's fourth goal. Brighton's resolute defence has become a trademark in their continued development in the Premier League, but being asked to play 56 minutes with 10 men following Dale Stephens' red card at Cardiff looked a tough ask. Chris Hughton's men came within seconds of securing a battling point in South Wales until Sol Bamba's winner, which should have been ruled out for offside, cruelly inflicted defeat. 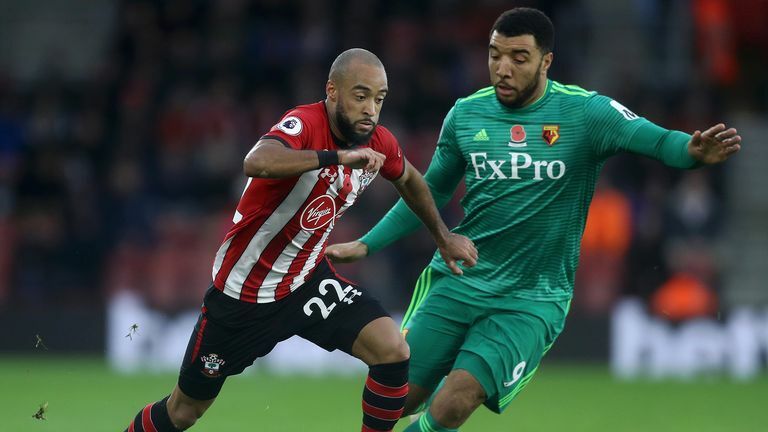 Southampton produced a much-improved display in front of their own fans against Watford on Saturday and came within eight minutes of recording a first Premier League win at St Mary's this season. However, a combination of poor refereeing and slack defending meant the Saints have now failed to win any of their first six at home in a single league season for the first time. On what was a hugely moving and emotional occasion at the King Power Stadium in the first home game since Vichai Srivaddhanaprabha's death, the football club as a whole did their former chairman proud with fitting tributes off the pitch and an energetic display on it. Chelsea had not failed to score at Stamford Bridge all season but Everton - with Yerry Mina making his full debut - proved frustrating opponents after a well-drilled display. 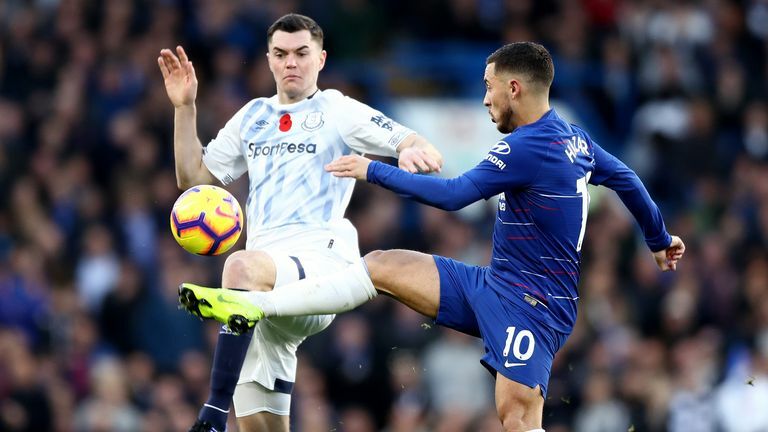 Maurizio Sarri's side did not have a shot on target until Marcos Alonso's volley minutes before the break and though the hosts turned up the heat after the break, Jordan Pickford summed up the Toffees' resilience and determination with a string of key stops. Highlights from Chelsea's draw with Everton in the Premier League. This was not one of Watford's more eye-catching performances of the season, but nonetheless the visitors still showed great character to fight back and earn a point at Southampton and maintain their best-ever start to a Premier League campaign. Marko Arnautovic missed a one-on-one after four minutes but that was virtually all West Ham created in the first half as they were distinctly second-best to their hosts who should have had more than a one-goal cushion at the break. Manuel Pellegrini responded to that subdued first half showing by throwing on Javier Hernandez and the Mexican helped the visitors carry a far greater attacking threat in the second period. 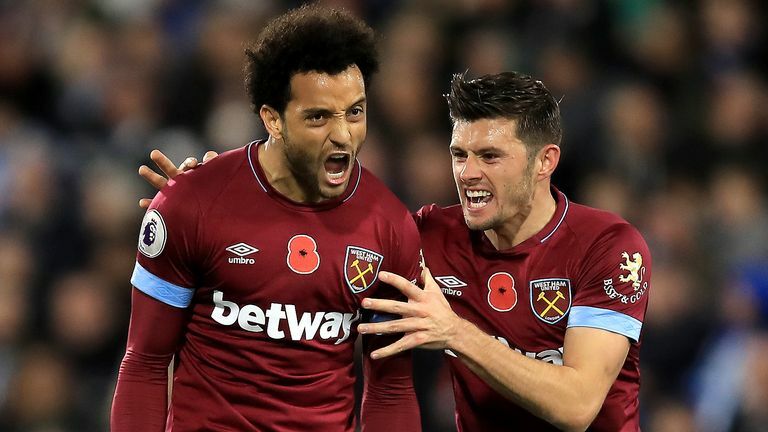 With Huddersfield retreating deeper looking to hold onto their lead, West Ham piled players forward and eventually got their rewards through Felipe Anderson's strike. Bournemouth lost Adam Smith in the first half to a serious knee injury, and though 1-0 down, that eight-minute stoppage proved disruptive, with manager Eddie Howe admitting after that it "rocked" his players. Maurizio Sarri made wholesale changes after a midweek trip to Belarus in the Europa League but Chelsea made a sluggish start on their return to Premier League duties and were forced to defend a series of early Everton set-pieces. They might have laid siege to the visitors' goal after the break but could not make their 69 per cent of possession count. With Wilfried Zaha not in the squad due to injury, it was always going to be tough for Crystal Palace against Tottenham. Roy Hodgson's side managed to push Spurs close, but missed chances - and some slack defending for the only goal of the game - proved costly, with James Tomkins and Alexander Sorloth both spurning good opportunities. Arsenal kept their unbeaten run going against Wolves, but only just. 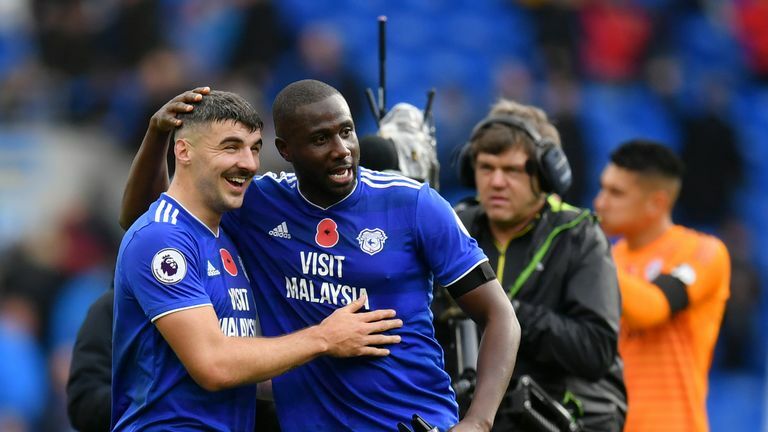 They were flat for much of the match after another slow start, which meant that, along with Cardiff, they are the only sides not to have been ahead at half-time in any of their 12 Premier League matches so far this season. A strange occasion for Burnley to deal with at the King Power Stadium as Leicester remembered Vichai Srivaddhanaprabha. 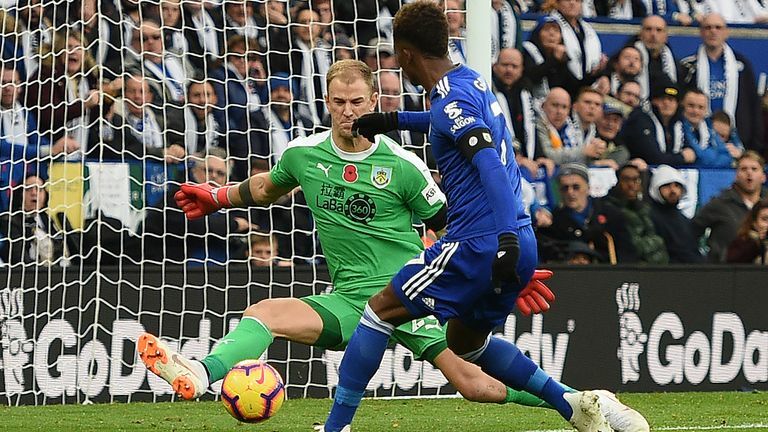 Highlights from Leicester's 0-0 draw with Burnley in the Premier League. Not a bad performance, but a performance with mistakes, said Jose Mourinho. Maybe so, but even without the mistakes, City would have deserved the three points on Super Sunday. On the ball United looked functional and steady, not creative and brave, and though their centre-back pairing of Chris Smalling and Victor Lindelof look to be performing to a more acceptable level, there are still weaknesses in their midfield before it reaches the back-line. It was another disappointing afternoon for Fulham as Slavisa Jokanovic opted to go with five defenders to try and stop his side from being on the receiving end of a drubbing against Liverpool. Jokanovic's game plan appeared to be working for most of the first half, and the game could have taken a different turn had Ryan Sessegnon converted his one-on-one or if Aleksandar Mitrovic's goal was allowed to stand. Highlights from Liverpool's win against Fulham in the Premier League.